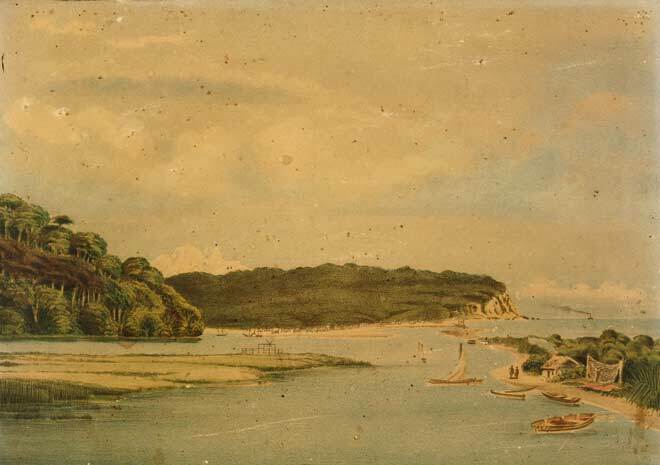 This 1869 work, ‘Okarita, a digging township’, by William Cooper depicts the small West Coast port of Ōkārito. Many diggers arrived on the West Coast by boat. By December 1865, Ōkārito township had 33 stores serving the miners who were digging the black-sand beaches. ‘Everybody who does not dig sells grog, and everybody who digs drinks copiously’, reported one correspondent.